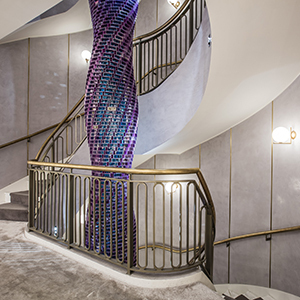 At Surfaceform we design, create and install inventive surfaces for inspirational interiors. 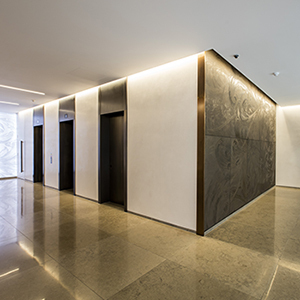 Using materials such as polished plaster, concrete, relief plaster and concrete panels we infuse traditional form with the latest ideas and trends. We work with architects, designers and brands to create bespoke artworks, relief surfaces and large-scale installations. Founded in 2003 out of a passion for colour and textures, Surfaceform is now a recognised name within the industry. 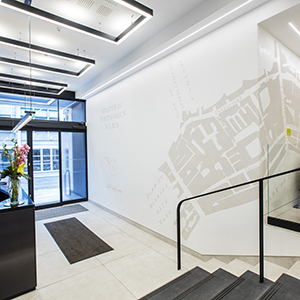 We have worked on many exciting projects throughout the UK, Europe and Hong Kong as well as commercial projects in Dublin like Capital Dock, One Windmill Lane, One Balls Bridge, Twitter, Brown Thomas, Peter Mark and Google’s offices, amongst others.